This is the very first warp I ever did. It is the black cotton SAORI warp that came on the loom. I planned to make a blouse for myself but i got the front and back together and was trying it on when my husband asked to try it on. 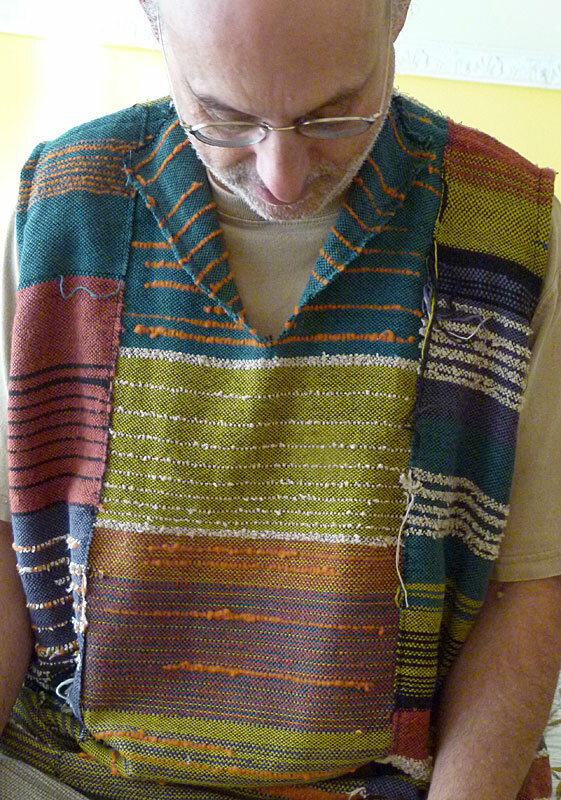 He fell in love with it and asked me to leave it sleeveless as it reminds him of a jacket he had as a child. I like the simplicity of these 6 simple shapes. I left the fringe on one of the side panels for a little non-symmetrical flair.